Ive been doing trucking for about 12 years, and enjoy driving, which is what got me into this field. My experience is in Dry Van (Dollar General Account for or two years). I also drove Beer deliveries from the brewery for three years, after that I did 6 years doing flatbed driving for CT transportation, and finally Dedicated Glass at Maverick Transportation. I've done Dry Van, Reefer, Flatbed ad Dedicated Glass... all have their benefits and drawbacks. Really the trick I learned is to find what suits you best and if you go to a different company make sure "you Do Your Homework". I learned that the hard way when thinking the grass was greener on the other side of the fence once. It is possible, but not in the way you might think. Many local distribution companies (like beer delivery) will hire drivers without a CDL. They train you and pay for the CDL, BUT there is a catch. You must complete a year of service with that company. If you quit before your required amount of time, you will get fined and or sued. A friend of mine did that in Raleigh North Carolina. He did the CDL training with a company and was required to compete one year with them. He fulfilled his obligation and has been with that company for three years now. He knew a guy that did the same thing with him and then quit 2 months after he got the CDL. He was fine $3500 dollars and had to pay the company back. The company took him to court and he lost big time. The situations are becoming more rare though but some companies still do that. I'm going to throw this out there, because I worked for a carrier that did in fact use driver facing cameras. I worked for them for about 2 years and to put it plainly, the camera was only facing towards the cab for about 6 months. After that it was facing outwards. The reason for the change was because the carrier had developed a sense of trust, both in my ability as a driver and the way I drove (defensive). Now on the other hand my brother drives for company that uses driving facing camera's also, however their camera is not on unless their is a sudden hard braking! (being cut off, etc) Many of the companies use these camera's in an intermittent cycle so they come on once every 15 minutes for about 5 seconds. Also I must add, that these camera's are only activated when the truck is in motion!! So when your tractor is turned off, the camera is not on! Anything you've been pulled over for while doing the speed limit? We are all slaves to Master Freight. Master Freight is a cruel, relentless master who constantly is cracking his whip. LoL!!! Eating healthy and getting exercise is not entirely impossible. The big thing that many truckers get into is a developing bad habits. What I do is this; When I get my 30 minute break I make sure I walk around location where I am parked at. I make it a point to not shop in truck stops, but instead whenever possible load up supplies if you go near a walmart. I stock up on canned chicken breasts, soup stock, and mixed vegetables and lots of assorted fruits. A Crock Pot is literally my go to for cooking in my truck. I make a basic low carb meal and let it cook as I go about my driving for the day, when I m done I have at least 2-4 meals that I can store in my fridge. I keep the things I need to be able to cook in my microwave also. If you flatbed, then you will get some exercise over and above what the vans and reefers guys get cause you have to strap, chain and tarp a load. I ended up going to Maverick. They had a slot open to do OTR glass which ended up working out perfectly, After three months I was able to slide into a dedicated glass position, which means nothing but glass except for the occasional racks that had to be taken to different glass production plants around the country and canada. What about a self storage place? Life Storage has parking spots and my local manager would work with me if i asked. however i do.have a locker there. but it might be cheaper to pay for a spave there by the month and not worry thsn pay at a truck stop. I called and asked my brother who works for Western and he told me this. In a typical week while he was a on-site trainer at Western Express, there were approximately 60 people (on average) there from various parts of the U.S., that would come to the weekly orientations He said on average about 5 fail the drug test and a few that couldn't get past the road test, and another ten that just quit before the week was out for one reason or another. After that first week (roughly 40 being left), they went on with a driver trainer for 3-6 weeks (except those select few that came over with experience from other companies). Of those 40 or so people that went with a driver trainer about 10 would quit before there training period was even over. ( these people would quit for various reasons from; they missed being home, missed their kids, or realized this wasn't the life they thought it would be, or they just didn't want to follow directions from their trainer). After that about 30 would actually make it as a solo driver. However most would not make it past 3 months!! He said that the vast majority didn't take the time to find out what the job would be like. If they had issues they would quit. If they didnt make it home on time, they would quit. If they felt cheated or didnt submit their weekly paperwork on time or it wasnt correct, they would quit. Some complained that they were lied to, so they quit. A few said they didn't ask enough questions so their expectations were false, so they quit. See the trend here??? Of those roughly 60 people that go to a western Express orientation only about 5-9 make it past three months solo. Western Express keeps data on this. The vast majority of those people, when frustrated, ****ed off, angry and feeling misled that left Western Express are the same people that write those biased reviews that other people read on google and truckers report. The reason why I mention this is like you, I read tons of reviews and after I came here I realized that those reviews were written by people who were upset at that time. As I found out after I found this site, here things are done differently. Hwy training without living in truck? I'm with G-Town on this one. An entry level driver, delivering fuel is a fatality in the making!! Thanks again for all the information and insight. As soon as I pass their physical and UA I will be driving a fuel delivery truck.Fortunately all their trucks have 10 speed manual transmission so I will still be able to get that experience. Is this a tractor & tanker trailer? Fuel as in gasoline station delivery? If yes to both of these; this is a very disturbing turn of events. NO entry level driver should start their career delivering fuel. Been getting my tractor loaded and I was curious what trucking companies have fridges and some of the other perks pre-installed in their tractors as a company perk. I'm sitting here waiting on my truck to be loaded but I caught your question. McElroy is a really good company that has a good school for someone who wants to learn how to drive (CDL) as well as become proficient in flatbed loads. Susan D.... I totally agree! I'm going to add my two cents on this one also, but first I have to agree with G-town! The vast majority of what you will find on the internet about Swift and Western Express are false and have bias opinions from people who made comments about these companies when they felt wronged or were ****ed off. My brother has worked for them as Long haul flatbed driver, flatbed trainer and now drives dedicated. In total he has about 8 years with this company. "Old-School", one of the moderators did in fact start his career with Western Express also I believe, and he can offer loads of good information. That being said, I will say this. I know three drivers that are currently with them (we graduated truck driving school together and have kept in touch). All of them, say that it is fantastic place to work. That being said they all have had to learn about the trucking industry and pay their dues. If you go into this industry with assumptions and expectations about a glorious lifestyle you are in for a shock. There is a big learning curve and mastering all the ins and outs takes time. Question for you. Has McElroy starting implementing automatics into the fleet? Do the drivers get a choice if they go there or is it some other way that they are distributed? I am just curious cause there website doesn't give many details and I can't seem to get a straight answer from a recruiter. Your thoughts and knowledge on this would be appreciate, or any other driver here that works for them who has seen drivers go through their hiring process. Old Rookie, Are you still working for Millis? I am curious about how the company operates now that they have almost switched completely to Auto's. I got a call from them the other day and I was curious about the company as a whole. Do you like it? Do you run OTR or regional and the last question, if you could guess where you drive the most (area of the country), what region are you in the most? Ironically I used to live up in Reidsville (next door to Eden) and never really thought about driving for them. 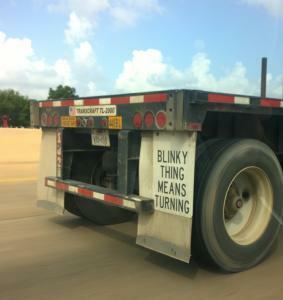 The one thing you have to remember when you come to trucking is this. You are a new guy with a new company and you will have to prove yourself to that company. Trucking is for the most part, when you are new, the time to prove to yourself and the company you work, that you want to be here and want to learn. Staying positive is essential! The desire to do a good job helps out also, but remember that every time you have a bad day, is an opportunity to learn about how the environment works. Hell I've been doing this for 12 years and I still learn new stuff. I was in the Marines for 14 years and when I got out I started doing this. So I know what it feels like to be in your shoes. Trucking isn't easy BUT if you can survive in the military then you can do well in trucking.